We often scour social media sites to see what merchants are saying about payment processing, their acquiring banks and merchant services providers. It is alarming how the feedback is overwhelmingly negative and wrought with claims about how merchants were shut down by large banks for little or no reason. Familiarity is a popular reason merchants choose a large, well-known banking chain. For merchants who need high risk credit card processing, familiarity, however, isn’t necessarily better. A payment service provider that specializes in high risk industries, we feel, is the best payment solution for a host of reasons. Has Your Merchant Account Been Shut Down? At Instabill, we often find we’re not the first choice high risk credit card processing solution for merchants – we understand. We do not have the advertising reach of the merchant services departments of a Chase or a Bank of America. Merchants whose accounts have been terminated – for a number of reasons, often unfairly – often find us. We ask their needs, receive the necessary KYC documents and, upon approval, match them with the best acquiring banking partner for their business. We recently read of a merchant who lost his merchant account because his bank saw that he sold bitcoin mining hardware along with other computer hardware. It’s a shame (especially since we recently announced our new option of merchant payouts in bitcoin). That very story underscores a common theme when reading merchants comments on big banking payment solutions: Unpredictability. Instabill has a host of acquiring banking partners that have a long history of working with high risk merchants – merchants in the industries of medical marijuana and CBD, online gambling and gaming, bitcoin and e-cigarettes to name a few. In fact, our merchant account managers know which banks are best for each industry, and will connect your business with such. 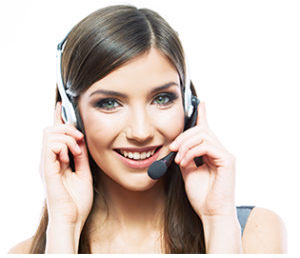 One advantage we have over big banking merchant services is our customer support. Speak directly with your own personal merchant account manager at 1-800-318-2713, or just click the live chat button below.